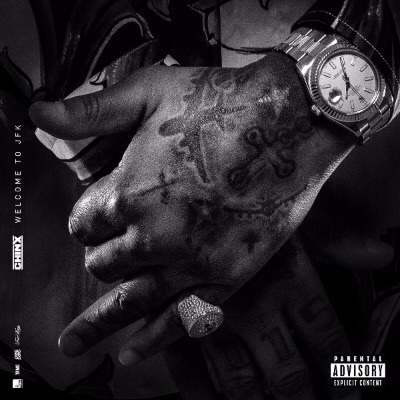 (July 17, 2015 -- New York, NY) --Welcome to JFK, the anticipated posthumous album by late New York rapper Chinx, will be available on August 14, 2015. The album features French Montana, Stack Bundles, Ty Dolla Sign, Jeremih, Meet Sims, Lil Durk, Nipsey Hussle, and Zack. The new single, "Yay," was produced by Blickie Blaze for Four Kings Productions, Inc. and is a classic New York trap record. Listen to "Yay" here and purchase here. Fans can preorder the album now on iTunes and receive Instant Grat tracks leading up to the release date, beginning today with "Yay," followed by "Don't Mind Me" feat. Meet Sims (7/24), "Far Rock" feat Stack Bundles (7/31) and "Die Young" feat. French Montana, Zack and Meet Sims (8/7).